Found some new exemplars to base my drills off of. Kind of starting over again. 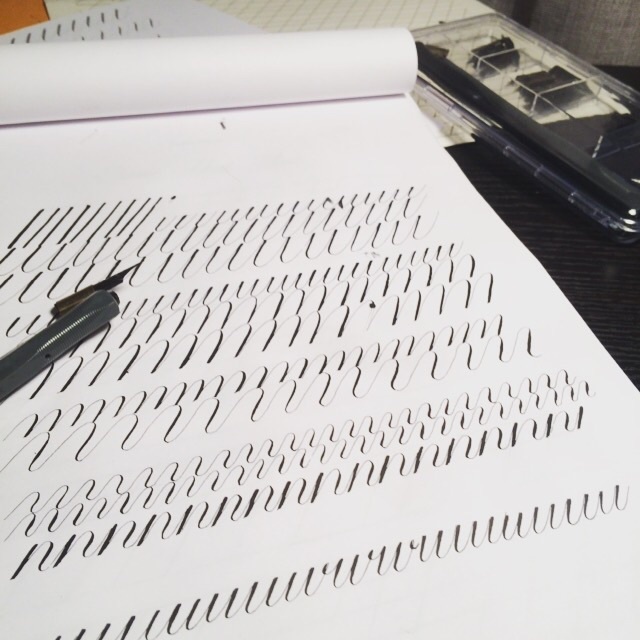 I'm going to really work at these drills for a few days I think before moving on to letters again. I think I kind of rushed it a bit the first few weeks of this challenge. Now I see a little better what it's going to take to get proficient at this Coppwrplate thing! FYI- I decided to not post as frequently to the blog. I'm realizing a lot of these posts are super monotonous, and I don't want to clog up the blog with 365 very similar posts. I'll definitely check in every once in a while with some milestone posts. BUT if by some chance you have been following along, I will still be posting every day to my personal instagram: @taylorgillis. Feel free to follow me on there to see my daily progress.